Today people with diabetes have many more ways than ever of staying linked up on diabetes blogs and social networking sites. Check out my picks for the seven best sites. 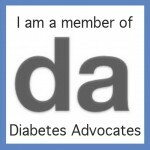 They're way more than blogs – they’re portals to online diabetes communities. You’ll find the latest research findings, stay abreast of the newest diabetes devices and technology advances or approvals of new medications.